No time, too busy and overloaded with commitments many of tend to neglect our health and have poor eating habits. In today’s fast-paced living, many of us is spoiled with a myriad of trendy foods, claiming to be the best for our health. Women and mothers in particular may have underestimated the simple goodness and nutritional benefits of consuming apples regularly. Apple is the wholesome fruit fit for today’s fast pace lifestyle. An apple a day keeps the doctor away, true? I attended the Apple of My Eye talk and demo by renowned consulting dietitian, Indra Balaratnam and celebrity mum, Sazzy Falak to discover more ways to enjoy this wholesome Washing Apples. For women constantly on the move and in search of nutritional balance in their day, apples have key nutrients that can positively contribute to their health and wellbeing. Apple is the wholesome fruit that fit into our fast pace lifestyle. Sazzy Falak, celebrity mum & Indra Balaratnam, dietitian shared some interesting, quick and healthy recipes using apples. During the talk, Indra and Sazzy also shares some of their secret on how to have a balanced diet and incorporating apples into their meals in many interesting ways. They also demo some quick and wholesome recipes like Apple Salad Waist Whittler, Fruit and Nut Nibblers and Apple Raisin Smoothie Cleanse. I will shared about these recipes in details in my next post. Apple is a wonderfully versatile fruit, compact with natural antioxidants that keep women looking and feeling their best at any age. As part of a healthy, balanced diet, apples have nutrients that may minimize the risk of gastrointestinal and heart disease. 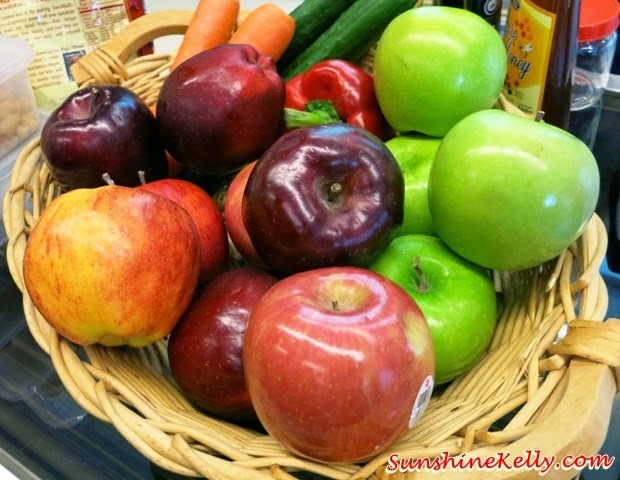 Apples also contain fiber, potassium, vitamins A, C and antioxidants that are heart healthy nutrients. According to indications of a study published in the American Journal of Clinical Nutrition, increasing consumption of apples may prevent coronary heart disease and cardiovascular disease. This accessible, value-priced, nutritional energy source is on par with other superfruits such as blueberries and pomegranates, which makes it perfect for women-on-the-go and their family. For busy mothers, many struggle with instilling good eating habits in their children. Celebrity mom, Sazzy Falak emphasized that it is important to instill healthy eating habits and the love for fruits from young can also foster a good relationship between parents and children, through the joys of consuming apples. 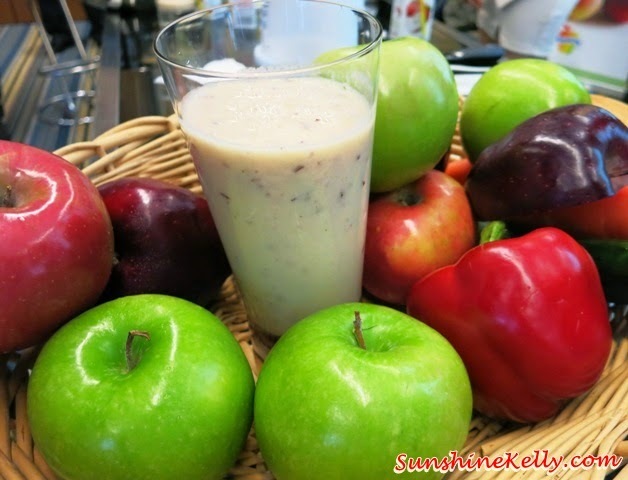 Parents can collaborate with their young, to use apples as wholesome treats to kick start the day. The fibers in the apple and its skin reduce indigestion and prevent from overeating, which is ideal when promoting a fit and healthy lifestyle for our children.